Precious Commodities, which opens at Open-Eye gallery on March 1st, exhibits new and never-before seen photographic work by Mishka Henner, a 2013 nominee for the Deutche Borshe Photography Prize. Henner uses a variety of different sources to make his photographs and projects – television, the internet, satellite imagery as well as more historical and traditional photographic influences. The result seeks to disrupt singular viewpoints or readings of the photographic image and challenge the idea of artistic authorship. The large-format ultra-high definition photographic series, The Fields and Feedlots (2011-2013) are taken from satellites looking down on oil and gas fields in the US and cattle feedlot farms. The oil fields are particularly striking, dark patches in the earthy sand like black swimming pools next to factories and administration buildings in grid patterns. Occasionally the image will capture the dark swirl of smoke rising from the oil field, trailing up towards the camera and to us, the viewer (Abu Attiffel oil field (28°49’49″N, 22° 7’2″E)). Although we are, by now, well used to Google earth, Street View and maps that allow us access into the most remote regions and most secret locations the scale and quality of the ink-jet prints are immersive and fascinating to look at. You can find yourself searching for details, curiosities within the desert planes and trying to identify the trickery within the photographic image, the scale, angle or colours. Last year it was reported that the lost city of Atlantis might actually have been found on Google maps, the outline of a potentially sunken city could be seen in the ocean from space. It turned out that the marks were made through the collection of the ocean floor data, in the making of the image – the lines of Atlantis were actually the manoeuvres of the vessels used to map, traces on the image. However seeing the earth through these rather in-human and un-natural angles stimulates a feeling of exploration, that there are things still to be discovered. 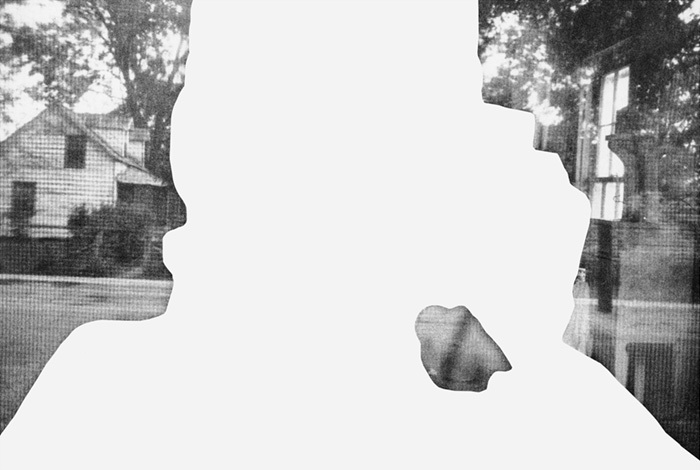 Precious Commodities also features the new work, Less Américains (2012) – a print on demand publication that erases parts of Robert Frank’s classic American photography book from 1958, Les Américains. The original images capture American society at the lower end of the social and economic scale, people going about their daily lives - in bathers having a picnic, on a bus to work, ready to serve a 18c Jumbo Hot Dog in a diner. Henner pares these images back until specific forms and shapes are brought to the front of the image, the process of deletion is also the process of creation. With Franks photograph, Parade, Hoboken, New Jersey (1955) for example, the image of two people watching a parade from their window but partially obscured behind an American flag are totally removed. Most of the detail, the brick wall, wooden window frames, material of clothing and the star-studded banner are gone. In Henner’s new image, Défilé, the flag is reduced to a simple black band of colour, two window ledges remain but out of context they become abstract shapes floating in space. 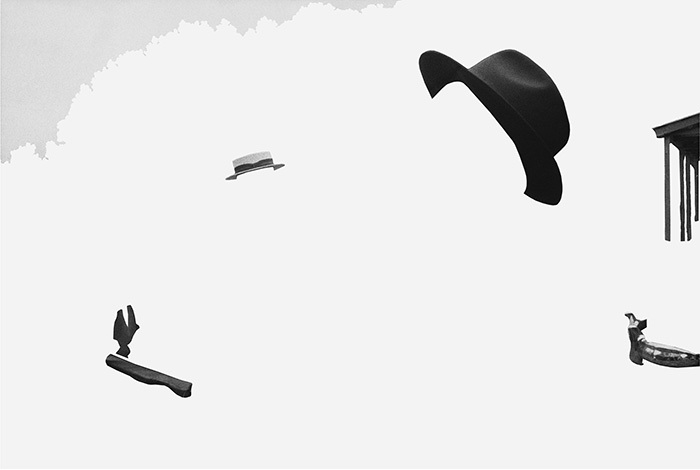 Some of the strongest images show parts of the people that inhabit Frank’s originals – bowler hats seemingly flying through the air (Enterrement) or a human shape cut-out and liquid-like (Paravent). 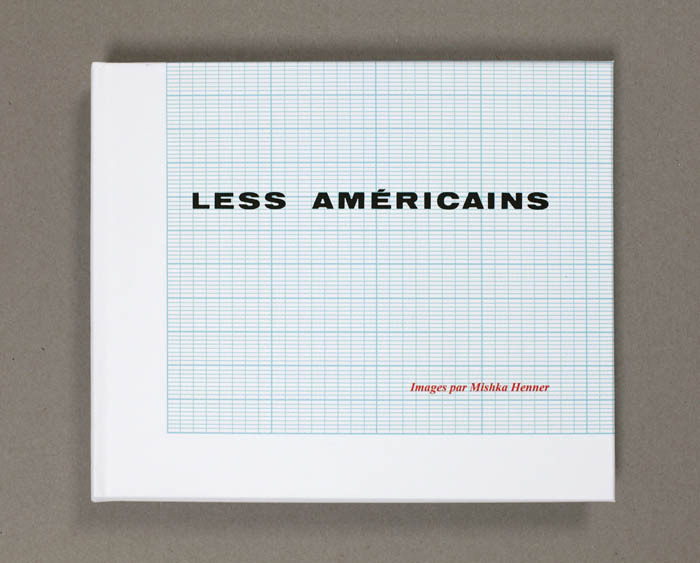 Less Américains is exhibited alongside several other works which take the photo-book as their subject and medium. Photography Is (2010) is a compilation of over 3,000 phrases sourced from theoretical photography tomes, reviews, press releases, technical manuals and blogs that all start with ‘Photography is….’. The phrases are all grouped together, separated only by a little black dot on the pages and the effect is of continuous, repetitious, chanting and chaotic poetry. The phrases, stripped of the context in which they originally appeared contradict themselves, repeat themselves, constantly revealing truths and un-truths about each other. Precious Commodities runs until 5th May 2013.